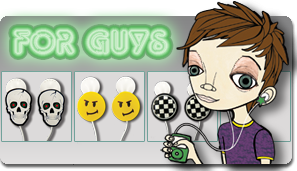 Budclicks are fun way to individualize your ipod & iphone earbuds. They snap on and off as quickly as you change your mood. Go urban on the way to school, a Vision Skull or Liberty Star on the bus and subway send the message "Don’t bug me, I'm focused right now". But for the concert? 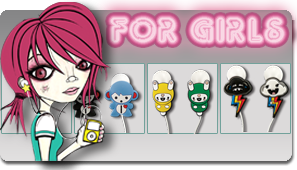 Something expressive that shows off your personality – an anime Panda on one ear and a Love Monkey for the other ear. 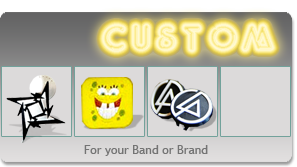 Budclicks give you so many ways to accessorize your music and they make great gifts for your tween brother or sister. Her trip to the beach would definitely be better with a pair of pink sandals or the pink skull. We're all different so why should our earbuds all be the same? Have some fun with your Buds!